Bell Helicopter is taking part in the Combat Helicopter Conference, the premier international gathering for the armed forces industry, held in Prague from 17th – 19th November. 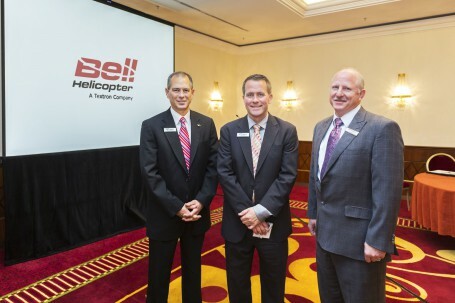 Bell Helicopter discussed its current and future military platforms and its multi-mission capabilities at the Pre Conference Technology Focus Day, of which the company is also a sponsor. Keith Flail, Vice President of Global Military Business Development for Bell Helicopter, led a presentation on the adaptive and responsive vertical flight solutions, delivering transformational capability on the international market with multi-mission military aircraft and on Bell Helicopter as the provider of purpose-built aircraft ideal for homeland defense and expeditionary operations.